“The high quality of South Australia’s nursery sector was recognised when two companies were successful at the Nursery & Garden Industry Australia’s 2015 awards ceremony last night (Tuesday).” was the bi-line for the story in the SA Advertiser for national winners Jong’s Nursery and Newman’s Nursery back in March this year. 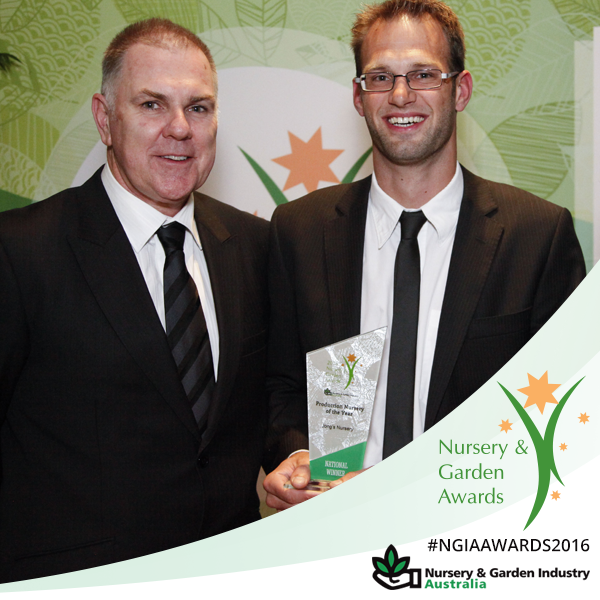 Their hard work and commitment to industry was recognised by the Nursery & Garden Awards and celebrated around the country. The recognition and promotion they received locally was driven by the promotional campaign that was being rolled out under the direction of NGIA, in the hours before the announcement. This is one benefit of the entering the Nursery & Garden Awards. Other benefits include comprehensive feedback for entrants including rankings and judges comments and the opportunities to revitalise a team environment and improve staff morale. Enter online today at HERE. For more information visit www.ngia.com.au, contact NGIA on 1800 252 468 or email awards@ngia.com.au. Read the full article from The Advertiser.